It’s amazing how fast everything is being developed and upgraded. 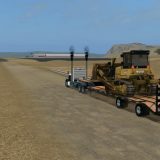 If you feel the lack of options in your FS19, we are here to solve this issue. We are happy to introduce you to our huge database of Farming Simulator 2019 Textures Mods where you will find even the most explicit features. Nowadays there is almost nothing that you can’t achieve, especially with some extra boost such as Landwirtschafts Simulator 19 Textures Mods. Don’t get bored with your game and create the farm of your dreams. Every Textures mod Farming Simulator 2019 will make it more realistic and vivid. If you have been waiting for this opportunity for a while, now is definitely the right time. 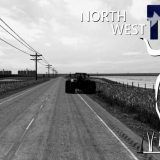 We encourage you to look through FS 19 Textures Mods free files and explore their specifications. You will see the things you didn’t know were existing. You can seek for much more and increase your score instantly. Help yourself to cope with your daily tasks easier and more efficient. By clicking on LS 19 Textures Mods download you can upgrade your game personally in the way you always wanted. 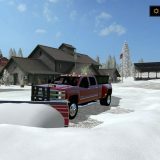 There should be no weak points in your farm – become as productive as no one else and outrun everyone easily. That’s a really incredible way of playing smart. You couldn’t miss these innovative samples, which can boost you farm right now. If you have made the decision, implement the sample and get the best of the game. It’s your time to shine and show everyone what is a real leadership!